Friend, health tips. Food and drink are two elements that are essential for the survival of living things, especially humans. When the stomach was already full, then drink a glass of water is a must. Benefits of water itself that helped facilitate the digestive process in our bodies and other benefits that nourish your body in addition to eliminating the thirst of course. So, what are healthy beverages is very good for the body ... ??? The first beverage that is green tea. 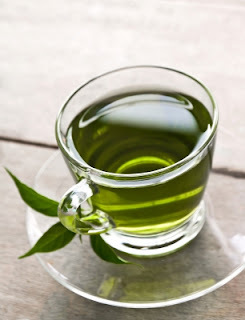 Green tea is a drink that is rich in flavonoids, polyphenols. antioxidants and fluoride. The function of flavonoids, antioxidants that melindungis polifeno and the cells in your body from karzinogen (cancer causing substances) and inhibit tumor growth. While the content of fluoride in green tea works to strengthen teeth and prevent damage to your teeth. Beverages second is coconut water. Coconut water is also included one drink that nourish your body. This is because coconut water contains a lot of potassium, calcium, sodium, sulfur, phosphorus and chloride which are substances that are needed by our bodies. Coconut water also helps expedite expenditure of urine and pain we have experienced diarrhea. The next round is the soup. Soup is also one of your body's healthful drink anyway because they contain vitamin complete, mineral and energy generation is also one in your body. Next is lemon juice. Lemon juice is also one of your body's healthful beverage. This is because a glass of lemon juice contains many vitamins and antioxidants that can refresh your body that has been tired and weary. Soy milk, this is also one healthful drink soy anda.Susu body contains soluble fiber and soy protein. The content of these substances serve to reduce levels of bad cholesterol and subtracts the risk of cardiovascular disease. A glass of hot chocolate or warm. It also is one of your body's healthful beverage, too. Chocolate contains polyphenols that is high enough to prevent you from a heart attack and can also soothe suasanan careful when drinking it. Next drink is tomato juice. Tomatoes are one of the fruits that contain lots of antioxidants lycopene. the antioxidant lycopene that can reduce the risk of lung cancer, stomach cancer, pancreatic, colon, mouth, breast and cervical cancer.